Enter your email address to subscribe to UDLib/SEARCH News & Updates. Cameron’s Collection is available through UDLib/SEARCH until May 3, 2019! Recognizing the dire need for solutions to support students’ mental health and wellness, Gale has collaborated with the Cameron K. Gallagher Foundation to curate Cameron’s Collection. The collection presents nearly 40 eBooks that provide targeted resources and guidance for students, teachers, and counselors – letting students know that they are never, ever alone. The titles in Cameron’s Collection span a wide range of topics, including ADD, ADHD, alcohol, anorexia, anxiety, bulimia, caregiving, cutting, depression, divorce, drugs, eating disorders, homelessness, OCD, self-injury, stress, and suicide. 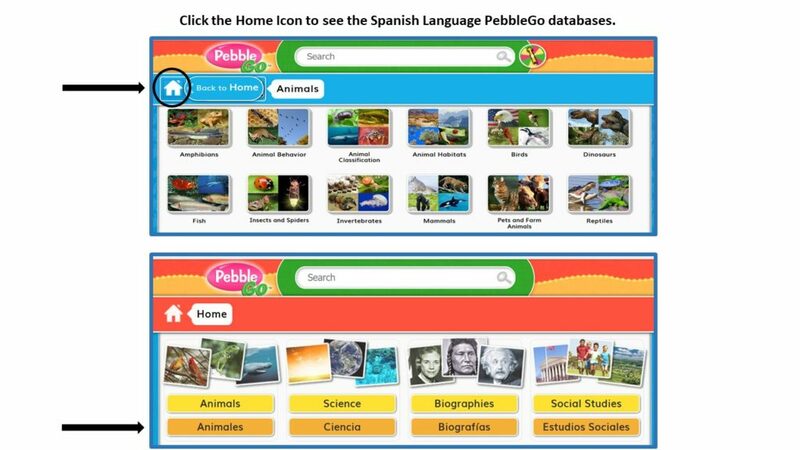 PebbleGo Spanish language databases are available through UDLib/SEARCH for 3 months! These databases can be accessed on the UDLib/SEARCH Elementary School Databases page. 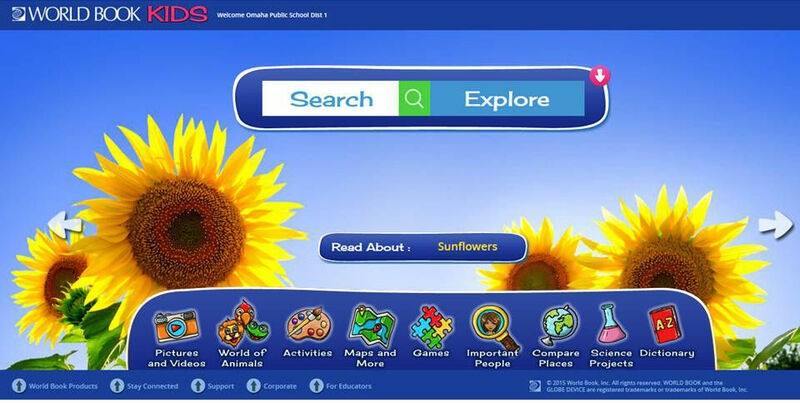 The PebbleGo Spanish databases include PebbleGo Animales (Animals), Biografías(Biographies), Ciencia (Science), and Estudios Sociales (Social Studies). All of the databases include Spanish text and read-aloud Spanish-language audio recorded by professional voice-over artists, not machine translated or text to speech. The databases are correlated to state and national curriculum standards supporting core concepts in their given subject areas. Please explore these databases, and contact us with your feedback! Your comments are useful as we consider databases that should be included in the UDLib/SEARCH program. Thanks in advance for your assistance! UDLib/SEARCH staff invites Delaware K-12 educators to join the UDLib/SEARCH Advisory Board. The Board meets once in the spring and once in the fall of each year. Topics of discussion include updates about the UDLib/SEARCH program, new developments in the research databases, enhancements the UDLib/SEARCH website, and new ways in which UDLib/SEARCH can collaborate with educators. Contact us if you are interested in joining or learning more about the UDLib/SEARCH Advisory Board! Information about the next UDLib/SEARCH Advisory Board meeting is below. Information about UDLib/SEARCH will be shared at the Fall Literacy Institute, which will be held on October 22, 2018. UDLib/SEARCH Coordinators will meet Delaware K-12 educators and administrators to provide information about the program’s K-12 research databases and to discuss opportunities for educators to have UDLib/SEARCH training sessions on-site at their schools. UDLib/SEARCH is funded by the Delaware Department of Education, so there is no additional cost for Delaware public schools to receive training about use of the UDLib/SEARCH databases. The Fall Literacy Institute is a product of the Delaware Literacy Association and the Delaware Department of Education. UDLib/SEARCH has obtained a two-year subscription to four of the PebbleGo databases! From August 1, 2016 – July 31, 2018, access will be provided to PebbleGo Animals, PebbleGo Biographies, PebbleGo Science, and PebbleGo Social Studies. These PebbleGo databases have research content for early readers. They also include a “read-aloud” feature as well as images, videos, and educational games. In addition, teacher resources, such as lesson plans and reproducible activity sheets, are incorporated into each database. PreK-2nd Grade Trial Database now available! Abdo Zoom Animals has 160 different animal articles at a PreK-2nd grade reading level, allowing young learners to explore their favorite animals in depth with read-along audio. Topic tabs feature overviews, characteristics, habitats, life cycles, feeding habits, personality traits, history, images, videos and more. Abdo Zoom also includes games and printable craft activities. Animals can be searched by geography, habitat, and classification. Abdo Zoom Animals will be available through December 31, 2015. Please contact UDLib/SEARCH staff to share your comments after trying this resource. New World Book Kids interface! World Book Kids is the online encyclopedia developed especially for young students. It features an intuitive user interface, thousands of easy-to-read articles packed with illustrations, videos, interactive maps, and a wealth of engaging games and activities. Nearly 100 activities deliver a myriad of fun challenges, from cracking codes to making musical instruments. Includes World of Animals, a fun and easy-to-use tool to help kids research their favorite animals. 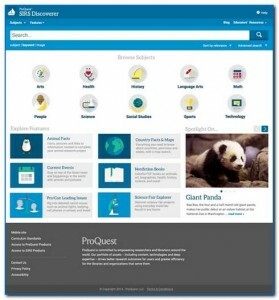 All-new SIRS Discoverer coming this summer! SIRS Discoverer is getting a makeover! This summer, you’ll get the same great articles, images and featured content—all selected by experienced editors—through a brand new user interface! SIRS Knowledge Source helps students make sense of the world by offering relevant, credible resources aligned to learning standards that tell the whole story on the major issues and world conflicts of the day. Analysis and opinions cover the pros, cons, and everything in between for social, scientific, health, historic, economic, political, and global issues. Science Online has recently been updated with a variety of new images, updates to the Nobel Prize timeline, and hundreds of updated subject entries and biographies in core discipline areas. 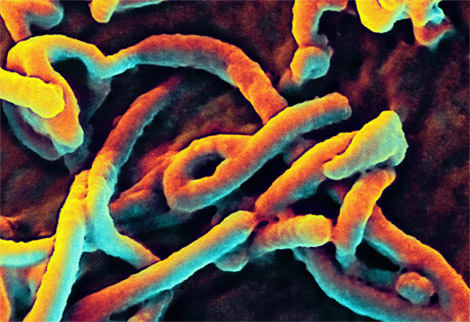 The 35 new images depict recent astronomical discoveries, worldwide natural disasters, the West Africa Ebola outbreak, and subject matter in biology, environmental science, marine science, and weather and climate. Perfect for enhancing lesson plans or reports. In October 2014, the Nobel Prize was awarded to three scientists in the Physiology or Medicine category, three in the Physics category, and three in Chemistry. Science Online‘s timeline has been updated to reflect these wins, with each entry showing at a glance the date, the names of the winners and categories, and a brief description of the winning discoveries.